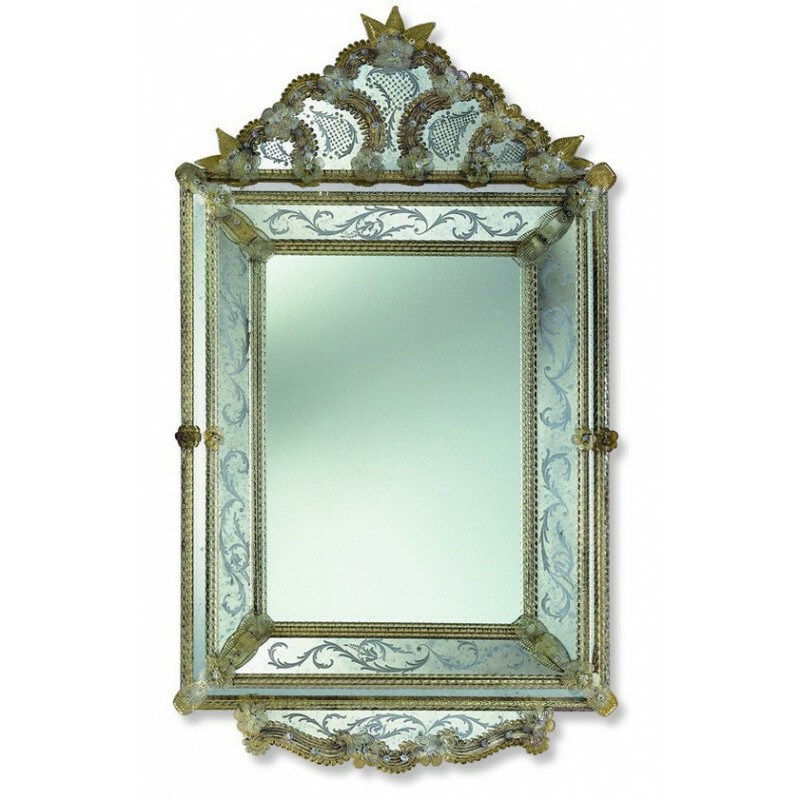 Authentic Murano glass with elaborate frame decoration, this genuine Venetian mirror exudes elegance and character with its fine detailing and impressive craftsmanship. 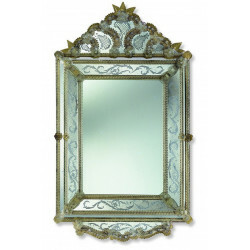 The details on this authentic Venetian mirror definitely capture the beauty and refinement of Italian craftsmanship. The antiqued frame design is achieved with the help of classic glass hand engraving, plus accents of aged gold frame structure. The glass decorations add contrast to the glistening and beautiful original Murano glass creating a perfect mix of personality and function for your home.